After opening the new year with a loss at home, LHC were determined to not leave empty-handed as they travelled to South Road to face Brierley Hill. The hosts had beaten LHC at the turn of December 5-3, which only added to the determination within the LHC camp. The game started with LHC pressing high and ensuring the hosts had a tough time trying to play on a difficult surface. The visitors enjoyed some good possession early on, creating a handful of half-chances, which were either sent for a goal-kick or dealt with by the impressive Brierley Hill keeper. LHC were rewarded for their efforts before too long, as some sharp football between Mubin Ahmed, Nathan Wiley and Callum Oakshott on the left-hand side found Lewis Beardmore, who duly dispatched into the bottom-right corner. The visitors continued to press. Brierley Hill appeared to miss usual anchorman Glen Gibbons. 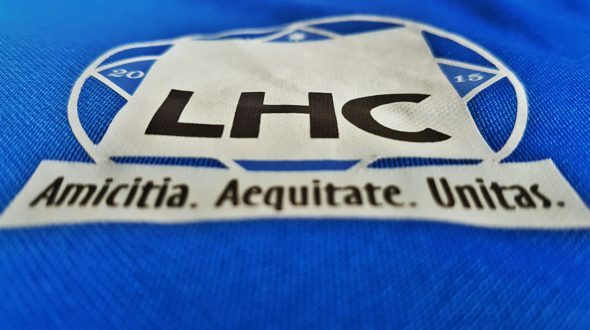 LHC took advantage. The LHC defence proved difficult to wear down, with anchorman Lee Ralph ensuring the defensive unit was packed out, and centre-halves Jordan Mitchell and Jon Guy equally impressive in throwing their bodies about to halt any host attacks. Lewis Riley was seldom called into action – short of one fine, instinctive right-footed save that turned the ball around the post for a corner. The game started to become stretched as the hosts searched for a goal, whilst LHC looked to extend their lead. The latter happened. Having soaked pressure, the LHC defence swiftly flicked the ‘counter attack’ switch, and off the visitors went. A through ball found Oakshott one-on-one with the keeper; a mournfully wayward effort somehow managed to nutmeg the keeper and looked to be on its way out for a goal-kick. Cue the potential own-goal of the season: a mix-up between two defenders saw the ball cleared by one against the legs of the other, only to ricochet into the net. Two-nil and LHC were cruising. Brierley Hill didn’t give up, though. They pushed more, looked a little more threatening, yet hardly took Lewis Riley’s eyes from the clear, bright wintry sky. Having been told that he’d be covered were he to surge forward – just to keep on going – left-back, Darren Riley, soon found himself doing just that. Seeing that his forward surge would result in him sprinting off the pitch, he veered to the right, ending up at the far-post, ready for a Beardmore cross. He dispatched it – coolly, too. Cue rapturous cheers both on and off the field, the odd ‘he doesn’t miss a thing’ call and LHC being three-up come the break. The second-half started with LHC sitting back and allowing Brierley Hill to attack more. However, Lewis Riley was on hand to ensure the net was safe from being disturbed. The game quickly became LHC’s once more, as they continued to throw bodies forward – each one hoping for a goal for their tally. Despite some woeful attempts in the first period, Oakshott managed to get himself on the scoresheet. Fine work between Wiley and Ahmed down the left saw a cross deflect, looping high, before being taken by Oakshott who volleyed on his second touch across the keeper. Another quickly came, as Wiley, Ralph and Neil Ward bossed the middle of the park. Beardmore broke the host’s defensive line, picking up a through ball from the middle that enabled him to calmly slot past the onrushing keeper, with the outside of his boot. The LHC defence continued to throw themselves about in order to maintain the team’s first clean sheet of the season. Mitchell, who had in the first-half taken studs to the top of his foot, pushed himself through any pain to see out the remainder of the game, adamant he wasn’t letting up that elusive clean sheet. Full-backs Darren Riley and Owen Sprigg proved energetic from start to end; the latter was ever a threat, enjoying the freedom to venture forward to support attacks, and almost saw himself in with a scoring opportunity, after a mazy run into the box, only to be crowded out. The game seemingly didn’t want to let up; yet, LHC were able to call on subs, whereas the hosts had to last out the ninety minutes with their eleven players. As their legs tired, the scoring was rounded off by impressive Ahmed. Another LHC counter-attack found Ahmed, Wiley, Oakshott and Beardmore bearing down on the opposition goal, with one defender and a goalkeeper to best. Beardmore squared to Ahmed, who jinked inside a defender to fire low past the stranded keeper. Overall, a fantastic performance by an LHC side itching to take home the three points. Kudos to Brierley Hill who took the scoreline in a positive fashion. LHC look ahead to welcoming Renewal Solihull to Coseley High next weekend.